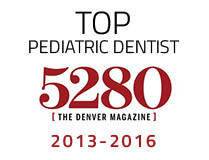 When you’re looking for children’s dentist in Castle Pines that understands how to work with special needs children, look no further. Dr. Layne Benzley knows that kids already don’t typically enjoy visiting their dentist, especially if they become extremely apprehensive in new environments. Great, comfortable kid’s dentistry doesn’t just mean having pretty purple elephants posted on the walls and TV’s in every corner. Often times, special needs kids could experience a sensory overload. Castle Rock Smiles offers three forms of safe sedation to make it easier for your child to receive the dental care they need and deserve. What is sedation dentistry and is it safe for my child? Sedatives have been used in dentistry for years. Sedatives create a state of relaxation for especially apprehensive patients, patients with anxiety, patients with dental phobia, and patients with special needs. Imagine an autistic child that is unfamiliar with the dentist’s office needing extensive dental work. It would benefit both the child and the dentist to help make the patient more comfortable by relaxing them with the help of a safely administered medication from Dr. Benzley. This is a quick, mild sedative that relaxes children with minor levels of anxiety or dental phobia. This sedative does not put your child to sleep, so you can still communicate with them to make them feel more comfortable. As soon as the mask is removed from their face, the cloudiness from the sedative will wear off and your child will be back to their happy, energetic selves again—just with cleaner teeth! We wouldn’t compare the strength of this sedative to general anesthesia, but oral conscious sedation is a heavier sedative. Your pediatric dentist in Castle Rock will give your child a monitored amount of the mediation to help them feel a little drowsy. In most cases, children tend to fall asleep for the whole dental visit. After the sedative has worn off when their dental appointment is complete, your child will probably have a numb mouth but still be alert and responsive as normal. Our dental office will only recommend general anesthesia for children that are very young, super apprehensive or have extensive dental needs. If your child happens to be uncooperative or has more intense special needs, this sedative may be the best option for them. Your child will be completely asleep and unaware of the dental work that is being completed after our trained personnel properly administer the medication. Dr. Benzley is closely affiliated with The Children’s Hospital, making it easier than ever to get your child the dental care they need to grow and develop properly. Although the decision regarding sedation is ultimately yours as the parent, Dr. Benzley works closely with parents to openly communicate with them and make the best recommendations. If you’re not comfortable with the suggestion of your dentist please let us know! 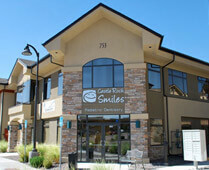 We’re more than happy to openly discuss different treatment options for your family’s smiles. Contact us today!